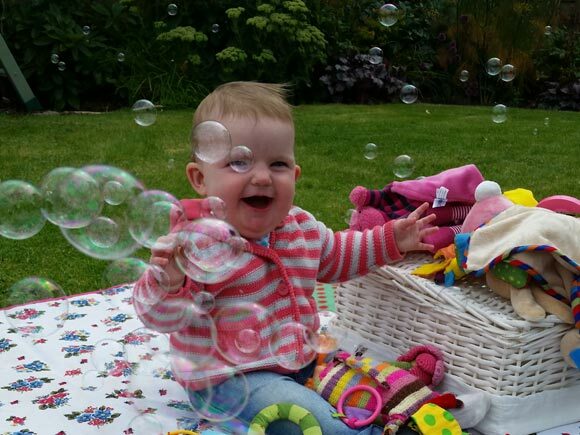 One of Tilda's most favourite things is bubbles and we will definitely have some at her birthday party! Whether it's a bubble machine or just a simple pot and wand babies will love watching them fly away in the wind and learn to pop them. 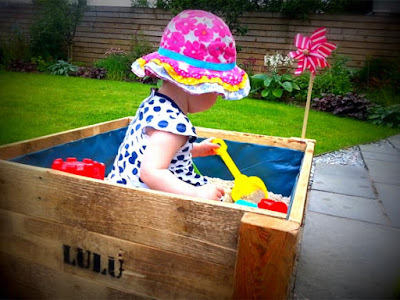 You can spend a lot of money on a water table (and I am sure it will be lots of fun) but it doesn't need to be that expensive. One of mine and Tilda's favourite things is just a bucket of water and then use some paintbrushes to pretend to paint water pictures on the patio. It's sometimes fun to bring out a toy tea pot too and fill it with water and have a picnic on the lawn. And we always love watering the plants too! All kids love digging in the sand and babies are no different. They love the feeling between their hands and feet, just be careful they don't eat it! We were lucky to be built our own sand pit by Daddy but you could use anything. An old baby bath would be perfect as an upcycled sand pit in the garden (or as a water table.) Add some treasure too like foreign coins, conkers, shells etc to be dug up. 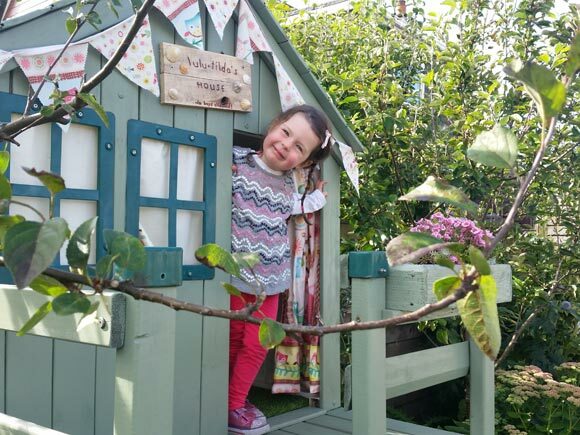 A playhouse is a wonderful addition to the garden and we were given a wonderful one by friends who didn't need it any more and we gave it a bit of a makeover. Have a look on Freecycle or Gumtree to see who wants to get rid of an old playhouse. A lick of paint and some fabric to make curtains and bunting will easily transform it. Or for an even easier and cheaper solution, how about just draping a duvet cover or large blanket over the washing line and making a den? Brilliant! We don't always have to resort to toys in the garden. Both Tilda and I have been keen gardeners from a very early edge and could probably use a trowel before we could even use a spoon! Let your babies explore the garden, dig in the borders and have fun getting dirty. Now Tilda is a big girl, I might even let her do some blogs here too! 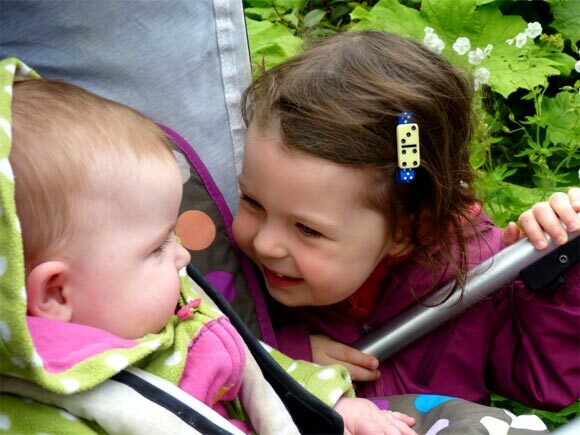 Happy birthday Tilda, the most wonderful, loveliest, smiliest sister in the world! You've passed the test and you can stay!